London, 9th January 2012. Telecommunications and converged network specialist, G3, has announced the appointment of Niall Anderson as its new Group Sales Director. Anderson joins from Avaya, leading providers of enterprise communication systems, leaving his role as UK and Ireland Channel Director to take over from Alan Lloyd at G3. 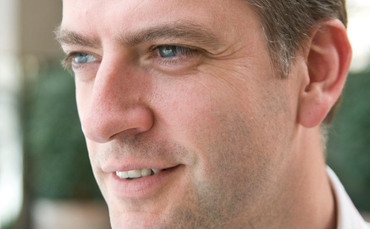 As well as his work with Avaya, Anderson brings a depth of significant sales, marketing and senior management experience from a variety of other major telecoms and technology operators, including periods as Chief Marketing Officer EMEA at Global Crossing and VP Sales for UK and Ireland at Orange Business Services. Anderson’s appointment is part of a planned programme to develop the Group’s service delivery strategy and capitalise on changing market conditions, an initiative being steered by Lee Shorten who was appointed as strategic adviser to the G3 Board last November. Niall has over 15 years experience in the ICT sector working in senior management positions for large, market-leading corporations such as Sun Microsystems, Orange Business Services, Global Crossing and Avaya. With a focus on sales, marketing and business management roles - both locally and internationally - he has proven strategic and transformational leadership capabilities and acts as an Advisory Board Member for the consultancy, Positive Momentum.